NBA player Chris Paul answering questions at a youth basketball camp. Birthplace: Lewisville, North Carolina, U.S.
Chris Paul is a professional basketball player currently playing for the Los Angeles Clippers. Often regarded as one of the best point guards in his generation, Paul is known for his superb dribbling skills, passing, defensive tenacity, and for his uncanny ability to change speeds at will, combined with a competitive fire and leadership that sometimes rubs off the wrong way to teammates. He was originally drafted by the New Orleans Hornets (now Pelicans) with the fourth overall pick in the 2005 NBA Draft after a stellar collegiate career at Wake Forest University. Paul is a two-time Olympic Gold medalist (Beijing 2008, London 2012), and a Rookie of the Year recipient (2006), to go along with numerous selections to the All-Star, All-NBA and All-Defensive teams. Chris Paul is a famous American basketball player, who was born on May 6, 1985. As a person born on this date, Chris Paul is listed in our database as the 3rd most popular celebrity for the day (May 6) and the 14th most popular for the year (1985). People born on May 6 fall under the Zodiac sign of Taurus, the Bull. 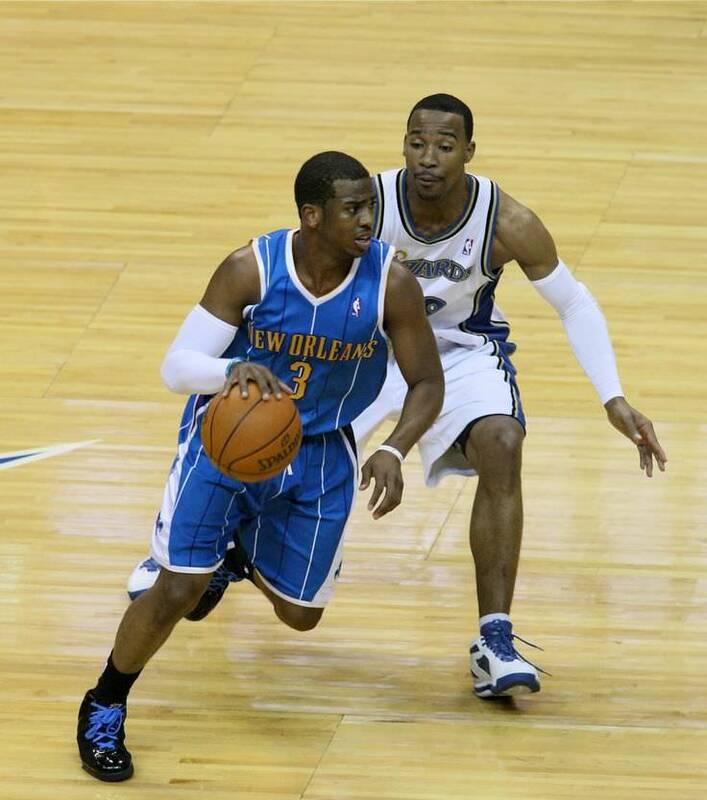 Chris Paul is the 42nd most popular Taurus. Aside from information specific to Chris Paul's birthday, Chris Paul is the 317th most famous American. In general, Chris Paul ranks as the 543rd most popular famous person, and the 9th most popular basketball player of all time. “The Famous Birthdays” catalogs over 25,000 famous people, everyone from actors to singers to scientists to serial killers and more. If you're curious to see who was born on your birthday, you can use our database to find out who, what, where, when and why. You can search by birthday, birthplace, claim to fame or any other information by typing in the search box, or simply browse our site by selecting the month, the day, the horoscope, or any other clickable option.